If you're looking for that additional seating that not only gives you a comfy place to sit down but also adds some vintage French style to a room. This bench does both, perfect furniture for the living room, hallway and bedroom. 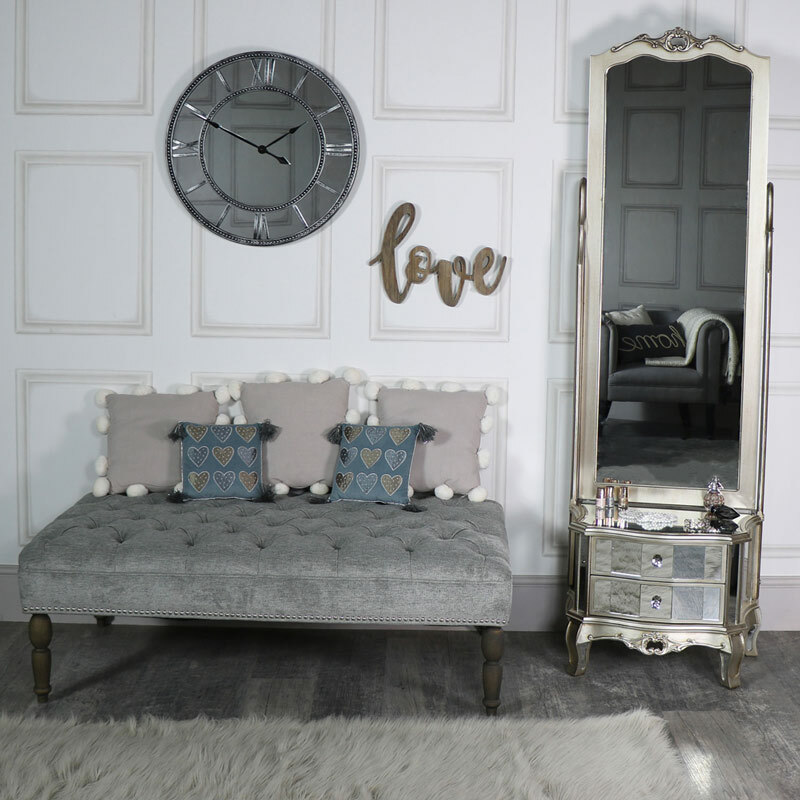 This bench is so versatile and would suit any room of your home and is low enough to be used as place to rest your weary feet after a long day. If you have a large hallway, a bench would offer the ideal place to sit down and either take your shoes off when coming home or put your shoes on when getting ready to go out. Imagine sitting down on this bench and just relaxing, with upholstered, cushioned seating, this offers a comfy place to sit. If you're looking for that additional seating that not only gives you a comfy place to sit down but also adds some vintage French style to a room. This bench does both, perfect furniture for the living room, hallway and bedroom. 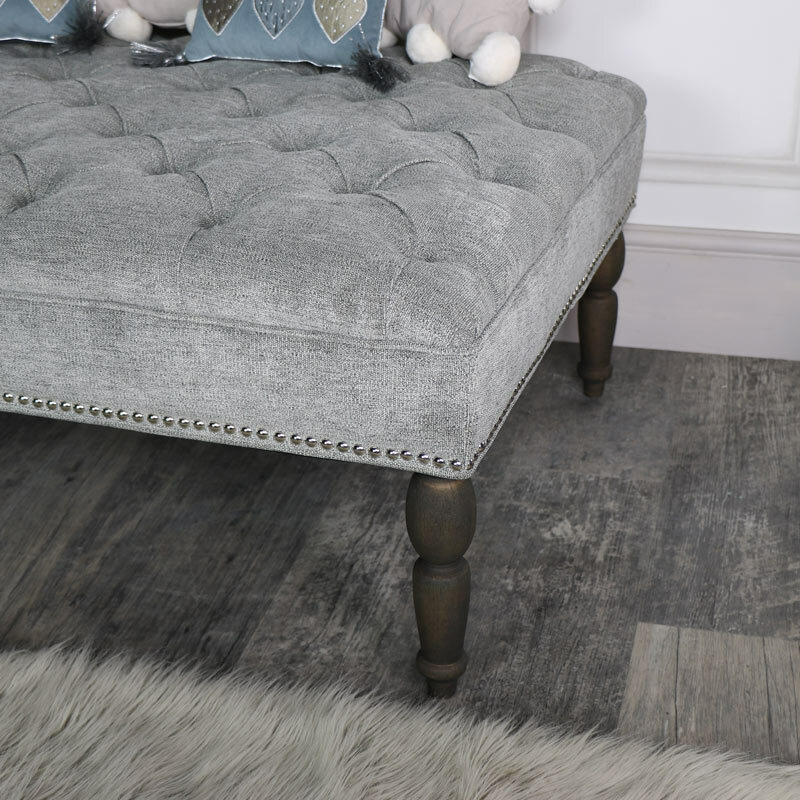 This bench is so versatile and would suit any room of your home and is low enough to be used as place to rest your weary feet after a long day. If you have a large hallway, a bench would offer the ideal place to sit down and either take your shoes off when coming home or put your shoes on when getting ready to go out. Imagine sitting down on this bench and just relaxing, with upholstered, cushioned seating, this offers a comfy place to sit. 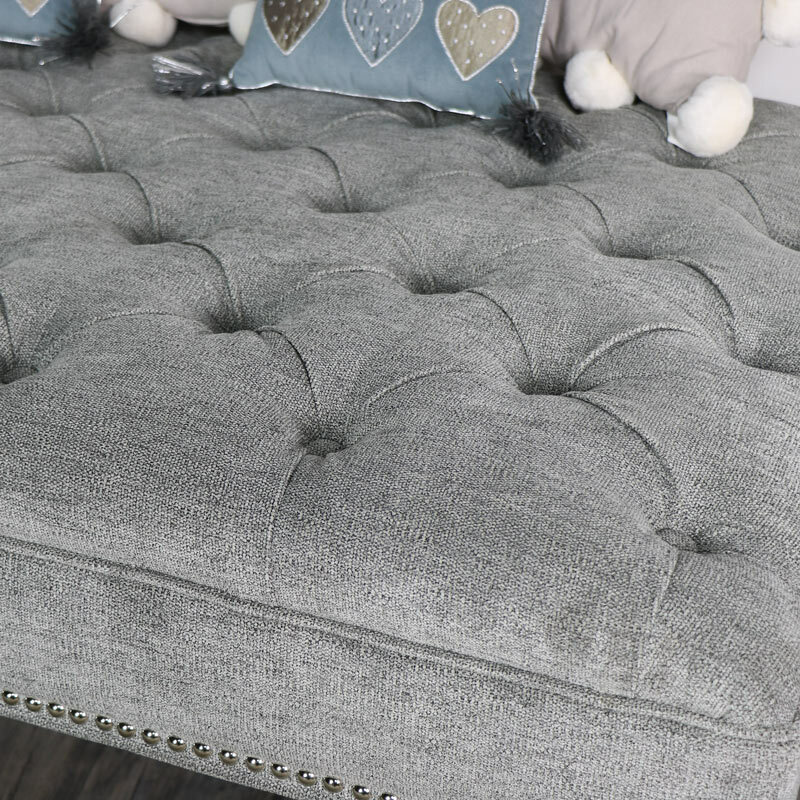 The seat itself is in a silver/grey linen fabric with silver studded detailing surround the bottom of the seat and ornate wood turned legs in a washed grey colour. With several other benches to choose from, this is a beautiful addition to our collection. With plenty of styles and colours to choose from, with and without storage. You cannot fail to find what you’re looking for.